O.K. I’ve made a setup. Now I will show you where and how can you put various durations, and effects of those. You can see that Finish date is changed, Finish Variance is 1 day (because Actual duration is 4 days instead of planned 3 days), and that the task is 100% completed. 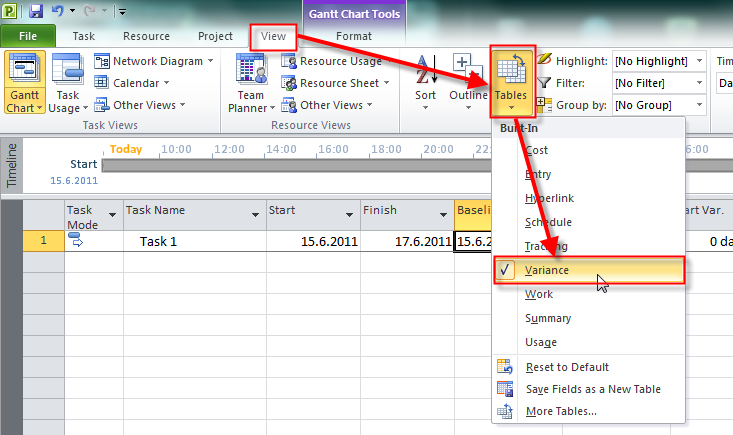 You can see that Finish date is 21.06.2011, Finish Variance is 2 days, Duration is 5 days, and the task is 80% completed. Why? Because I told that is already spent 4 days, and that I need 1 more day for the task. That means that task will take 4 + 1 = 5 days, and because I already spent 4 days the task is 80% completed (4/5=0,8 –> 80%). Finish Variance is 2 days because in the baseline is 3 days and we need 5 days for the task. 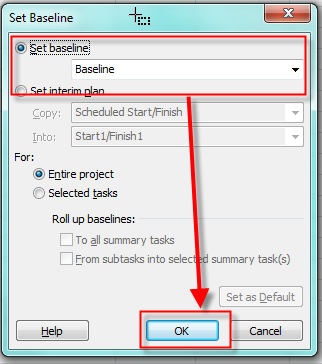 This entry was posted in MICROSOFT PROJECT, Microsoft PRoject 2010, MS PROJECT 2010, PMI, PRoject Management and tagged Micrrosoft Project 2010, MS PROJECT 2010, Project Management, Tracking Task Progress. Bookmark the permalink. A little bit complicated for me. I actually use TimeCamp and it’s seems more easy to use and operate. Thanks for the post, Its very helpful. Screenshots with better resolution would have been great. can i change the activity once i update the work progress. For example i forgot to put the concreting work and i want to add in task name. 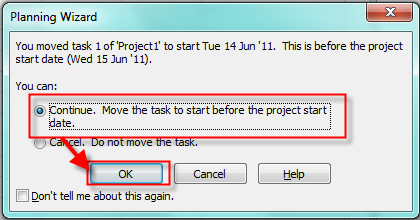 can i do that once i’ve done update the work progress? Is it possible to see Finish Variance in working days instead of calendar days? Excellent examples !! Really helpful. Thanks.